Deutsche Lufthansa (more commonly known as simply Lufthansa) is a German airline and the largest in Europe, based on both passengers carried and fleet size. It flies to eighteen destinations within Germany and 197 cities internationally in 78 countries, covering Africa, the Americas, Asia and Europe. 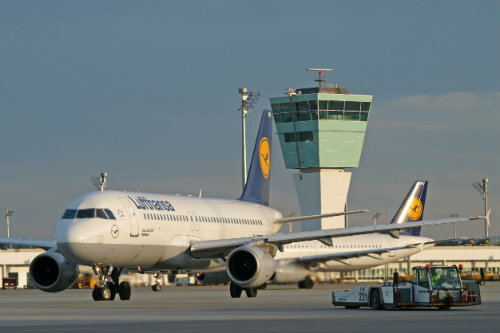 Lufthansa is one of the five founding members of the Star Alliance network, formed in 1997. Lufthansa began in Berlin in 1926 and was Germany’s flag-carrier airline until 1945 when it encountered operational problems due to the conflict during World War II. The airline commenced operations again in 1953 with many of its original staff and has been growing steadily since. Besides fellow Star Alliance members Lufthansa has agreements with Air Malta, Germanwings, JetBlue Airways, Luxair & SpiceJet. The Lufthansa fleet consists of primarily Airbus including A350’s, A320’s, A321’s and A319’s. The airline has a tradition of naming its aircraft after German cities which dates back to the 1960’s with the ‘Berlin’. This was continued until 2010 when Lufthansa announced that its new Airbus A380’s would be named after Star Alliance hub-cities such as Tokyo, Beijing, Brussels and New York. 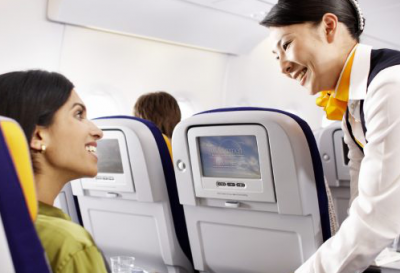 Lufthansa operates four cabin classes across its fleet, being First, Business, Premium Economy and Economy. First Class is offered on most of its A380 and 747 long-haul aircraft, in the front part of the upper deck of the A380’s and the main deck nose section of the Boeing 747’s. Lufthansa’s First has received the highest possible 5-star rating from Skytrax who regularly evaluate airline quality around the world. 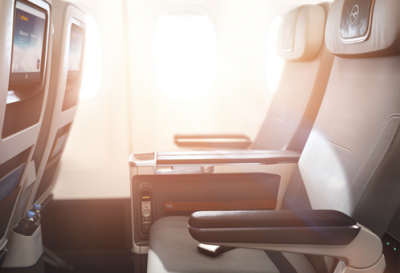 Seats convert to a 2m long lie-flat bed which comes with mattress topper, pillow and duvet, and feature laptop power outlets, wide pull-out tables and in-flight entertainment with a wide variety of choices. The meal service is offered on-demand meaning each passenger may choose when they wish to eat. Passengers also enjoy exclusive check-in facilities at most airports with arriving passengers having the option of using Lufthansa’s First Class arrival facilities as well as the Welcome Lounge. Business Class is offered on all long-haul aircraft. 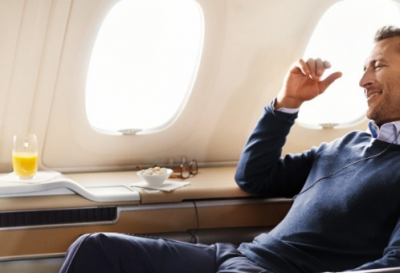 In 2015 Lufthansa fitted new seats to its Business Class cabins that convert to 2m lie-flat beds, again including laptop power outlets and in-flight entertainment. There are dedicated Business Class check-in counters at all airports as well as the Lufthansa Welcome Lounge upon arrival in Frankfurt. Older aircraft that have not yet been updated have angled seats with 150 degrees of recline. All Boeing 747-8s have been upgraded to the new seating with larger seat-back screen with roll-out happening across the A330s, A340s, A380s and Boeing 747-400 fleet. Read our latest review on flying Lufthansa Business Class. 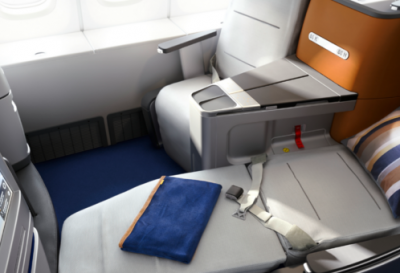 Premium Economy was introduced to Lufthansa long-haul in 2014. 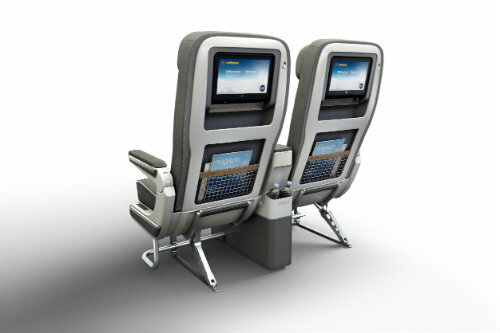 Similar in design to Air Canada’s Premium Economy or British Airways’ World Traveller Plus cabins, Lufthansa’s Premium cabin features seats with 38-inch pitch along with up to 3 inches more width than Economy class, depending on the aircraft comparison. There personal seat-back screens are 11-12 inches and there is a larger armrest separating the seats. Read our review on flying Lufthansa Premium Economy. Economy is offered on all aircraft. All have a 31-inch seat pitch except the A340s which have 32, and all have adjustable headrests. Meal service and drinks are included in your fare and on selected flights there will be a ‘movie snack’ served during the in-flight entertainment.